Trout fishing continues to be productive for us out there. Both beads and flesh are producing well, things are pretty fresh in the water so think about that when choosing your colors. We are still seeing overcast skies with little rain so the water is now down to 12 1/2″ and running nice and clean for the Kenai. 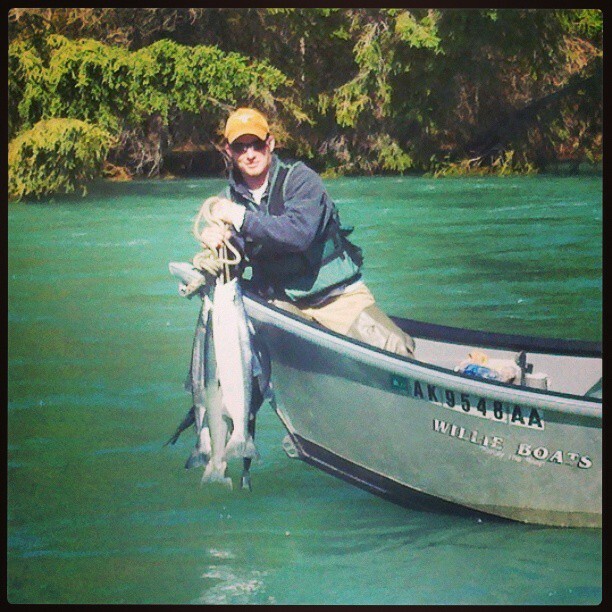 There are still a few Sockeye trickling past the weir and in the system so if you take some time you still may be able to catch one. Crowds are down right now and it’s just a nice time to get out on the river and enjoy Cooper Landing’s backyard! 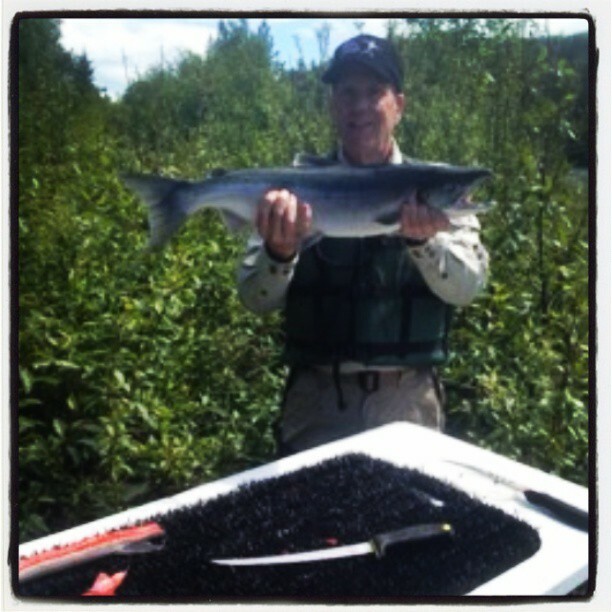 This entry was posted in River Report and tagged Alaska, Cooper Landing, Fish, Fly fishing, Kenai, kenai river, rainbow trout, Sockeye Salmon, Trout on June 30, 2013 by jenharpe. Great day on the water yesterday! 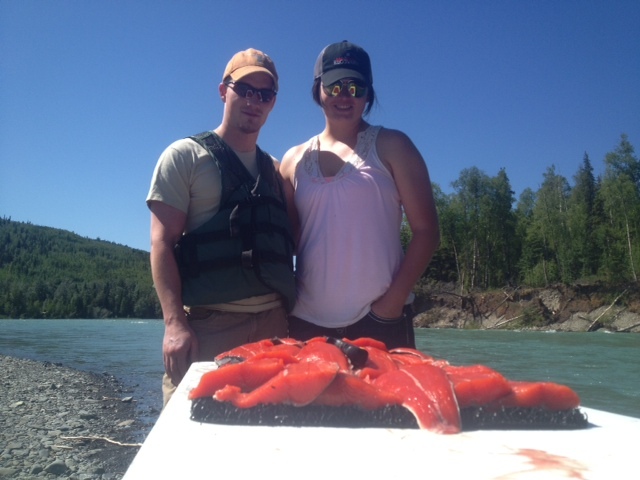 This entry was posted in River Report and tagged Fly fishing, kenai river, Sockeye Salmon, upper kenai on June 18, 2013 by jenharpe.